Hexagonal Mesh Gabion also call Gabion Wall System, gabion wall, gabion cage, gabion wall factory,hexagonal mesh gabion box,stone gabion netting,diamond gabion box,hot-dipped galvanized gabion mesh,gabion mesh container,mountain protecting gabion box. 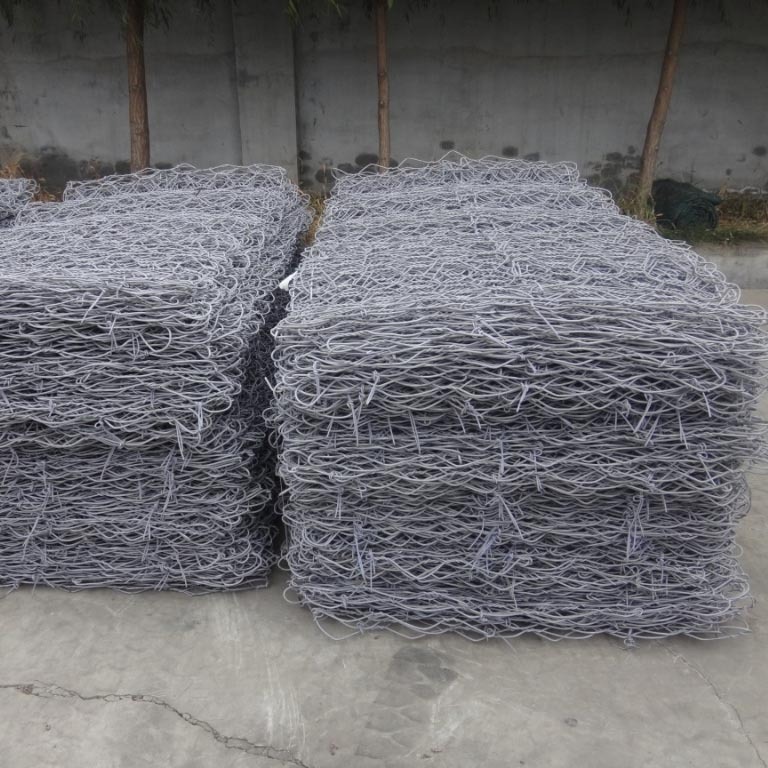 Gabion basket is available in a variety of different specs, including wire thickness, opening size, box dimension and material grade. 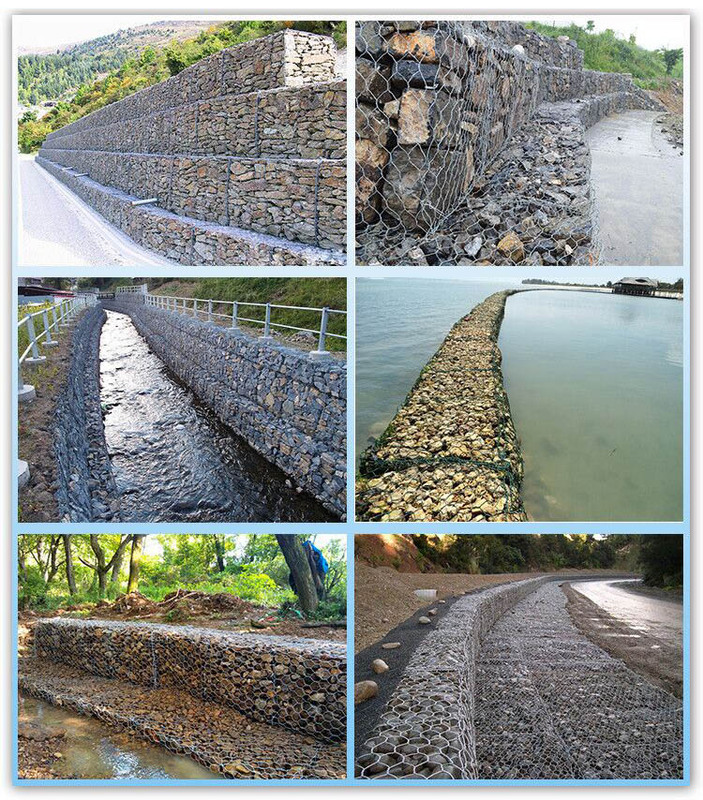 Consisting of hexagonal wire mesh, gabion box is divided into cells with diagrams in 1 meter or 3ft intervals. 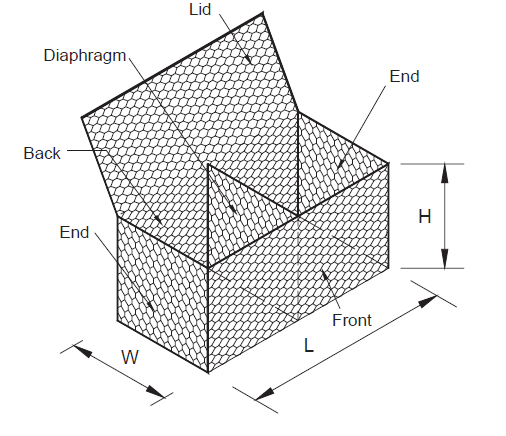 The diagram reinforces the structures of gabion basket. We follow the major international standard in our manufacturing process. Style 2 Same as style 1 with extra coating with PVC. Style 3 Zn-5Al or Zn-10Al coated wire as per ASTM A 856, also known as Galfan wire. Wire tensile strength is between 380N/mm2 and 550N/mm2 as per BS 1052. 1. Controlling and leading the river and flood. 2. Flood discharge and lead flow. 4. Preventing the water and soil lost.